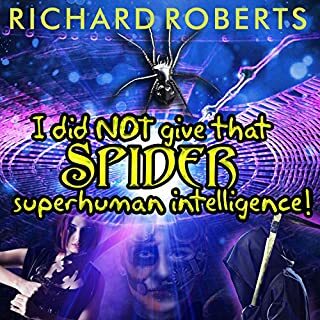 I Did NOT Give That Spider Superhuman Intelligence! Being a superhero should be fun. After all, a world of super powers is a world where Amazonian juggernauts made of candy battle guys in spandex that drive talking cars. Irene loves that weirdness, loves the game of fighting, and loves being a four-foot-tall woman who still gets to drop big heavy objects on villains' heads. In 1980, that fun is in danger. A mad scientist who murders people for his research has everyone afraid. Two of the friendliest super-powered rivals around stop playing and go for the kill. As good as, "I'm a super villain"
An ongoing, episodic "prose comic" from which the pictures are summoned by the magic of words, Goon Squad is set in an alternate version of modern-day Manchester. Its biggest divergence from the real city is that it - along with most other large urban centers - has a team of superheroes to protect it against unusual threats with which the conventional forces of law and order would have problems. "By the Water, by the Grave"
"A Star in Strange Ways"
"A Brief History of the Goon Squad"
"Red Wolf, Red Wolf, Does Whatever a Red Wolf Can"
"The End of the Year Show"
©2016 Jonathan L. Howard (P)2015 Blackstone Audio, Inc., and Skyboat Media, Inc. 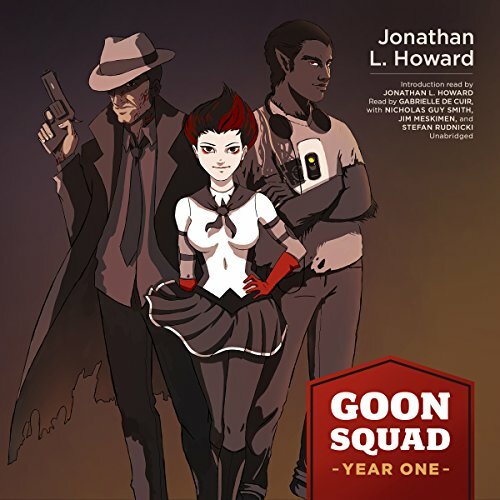 I like the Goon Squad series and I hope to see more of it. 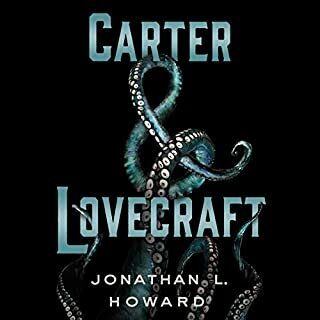 I like the characters, I like the stories, especially the last one, and I hope Howard continues with it. My one problem is that the narrator wasn't very good when it came to the male voices in the stories. I like her Nadia, but her voices of Ian and Gilbert became grating to me. Especially Ian. I hope that the next stories have more varied narration. 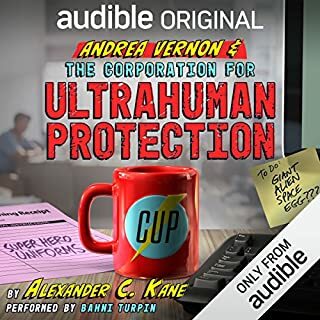 I highly recommend this to anyone who likes superheroes. Seriously, I almost ditched the whole thing because the interlude music is so distractingly needless and terrible. I didn’t love the female reader’s version of Ian. The higher register made him sound whiny, crass, and just constantly abrupt. I really enjoyed the story itself, but have to say again, why the hell did they use the reject “Saved by the Bell” intro music. Really bad choice. Especially when the chapter ended on something poignant or deep. Ruined the effect immediately. 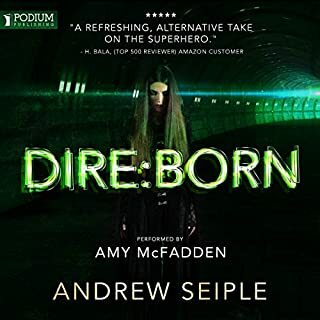 Great characters and imaginative scenarios. Good writing, especially the dialogue. I'm not a big fan of ensemble cast reading-- it just seems distracting--but this one is not too jumpy. The primary readers when they get going are excellent. Sound effects are used sparingly, almost without purpose, though. BUT... the book just ends, waiting for the next comic book installment. And there is no promise of further episodes. So watch out! Five Stars and I'll explain why. This collection delivers as promised. it was presented by summery and forward as a comic book series expressed in words and the writing & narration both hit that right on the mark. As icing on the cake there are several unique avenues and twists of plot that make the tales as a whole a fun and original narrative. It's fun and inventive and gives what it promises. Looking forward to more tales of the Goon Squad. 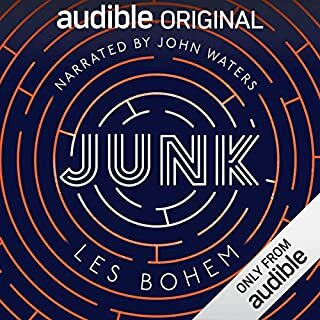 Excellent stories but the narrator’s attempt at accents is poor particularly ‘Ian’ whose accent varies massively from Birmingham to Merseyside to London to Americanish, very distracting...the others’ accents too vary making it most odd. Not much to say beyond this: you will enjoy these books! Some of the audio effects are a bit cheesy, though at times they add to the overall theme. overall a great story with Wonderful World building but the way the stories are written you only get a glimpse as to who everyone is. much like the comic books they were based off of this collection of stories are short enough to get you interested in the characters but not too long as to developed the world. 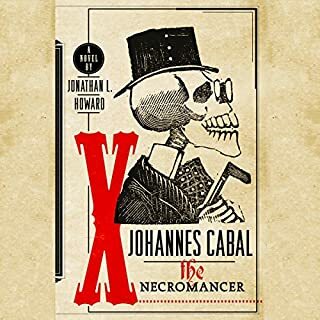 Jonathan L. Howard is an entertaining, versatile, often witty writer with a dark, eccentric sense of humor. This is at the opposite end from his Johannes Cabal stories, light and airy rather than packed with ideas. He's doing this because he likes the genre, and he doesn't make a big deal of it or elbow you in the ribs every other page to show you he's too hip for the material. It's a lot of fun. At one point he describes one giant robot crashing into another in mid-air "like one of those special flying bulls necessary to make this simile work." As for Gabrielle de Cuir's narration, yeah, she does make a mess of the accents, and if I came from Manchester it would probably bother me a lot, but I don't, and it didn't. She's got a terrific voice and an infectious pleasure in her performance, as well as a huge track record in the profession. I began to have daydreams in which we were on a desert island and I'd ask her to do Nadia's voice again. Every now and then, when a male character had a long stretch of narration, a male actor would take over for a while. There were probably good reasons for that, and while it's hardly seamless, it works well enough. But it's one of a number of things that makes this production enjoyably odd. For example, when Nadia unexpectedly says something drastic and the book ends abruptly with a bar room rock outro completely at odds with what she'd just said, I was pretty sure I'd never been in that particular place before. that was awesome. loved the production. Why not use a UK voice actor? Stories were very entertaining but I was constantly struggling to enjoy them despite the narration. She has a great voice and I’d like to listen to her narrate almost ANYTHING else. However, she does appalling Brit accents. Who’s idea was it to employ a North American-sounding voice actor to perform a set of stories in which regional differences in the UK are frequently made reference to!? Ian’s first person segments (different actor) were a blessed relief.